AVANT machines have the advantage of being compatible with a huge range of attachments, making the AVANT Mini Loaders the must have machine for all sort of jobs. From moving hay and straw bales, levelling fields and arenas, towing horseboxes and trailers, moving muck, cutting grass, trimming hedges, stacking materials, loading lorries and clearing cow sheds, the functionalities of these machines have been proven by farmers throughout the world who love the flexibility and usability of AVANT machines. Silage distribution: round and square bales, silage from silo and hay – all with the same machine. Distribution and Dispensing of grain: Grain and other fodder is easily distributed all over the farm with the Mini Loader. Cleaning of feeding table and cattle sheds: Attachments on the AVANT machines make the cleaning of feeding tables and cattle sheds, as well as demanuring and cleaning of slatted floors an uncomplicated process. Filling of mixer feeder wagons and feeding: Filling the wagons and helping with the feeding of farm animals is yet another useful application. Bale moving: Farmers relying on numerous farmhands to help with moving bale from one location to another will be pleased to make use of the AVANT Mini Loader and enjoy the machine’s supreme bale moving capabilities. 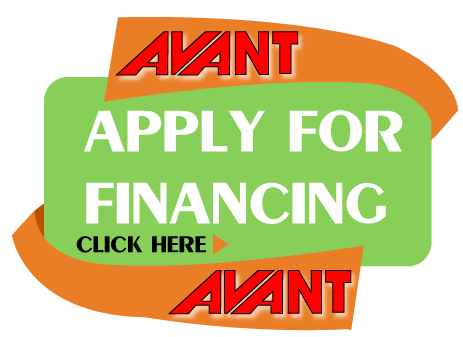 All loading jobs: Whether this entails the handling of pallets and other heavier loads, or even things like wood chip loading to and from storage, or transporting of fertilizer sacks and big bags, the AVANT range is on hand to make life that much easier. Sweeping of yards and machine sheds: This job is never the most pleasant, but farmers are getting this done far quicker thanks to the functionality and speed that AVANT affords them. Sand spreading and Snow removal: These elements can be tedious and extremely time-consuming when done in traditional ways, but with AVANT machines they are a breeze. Lawn mowing and stone collecting: Especially on farms where the terrain is not even or flat, as the Mini Loaders thrive in these conditions. Building jobs: These are made easier thanks to the various functionalities of the AVANT machines. Working in horse stables: Tasks that previously needed to be done slowly by hand in the horse stable are sped up and simplified immensely. With so many uses accomplished by the AVANT machines, it is a fact that farmers who use these Mini Loaders cannot imagine having to go back to the old way of doing the above tasks.